I have been waiting with bated breath for this little box to show up on my doorstep, but let me back up just a little bit. In fact, let me back up a lot. 20+ years ago Cheapass Games released Button Men and not long after two sets of Sailor Moon characters joined the ranks of that game. In 2017 Cheapass Games released an updated version of the game, this time on cards, and Dyskami Publishing followed suit a few months later with the similarly revamped Sailor Moon Crystal Dice Challenge. You can read more about all of that in my previous reviews on Button Men and Sailor Moon Crystal Dice Challenge. 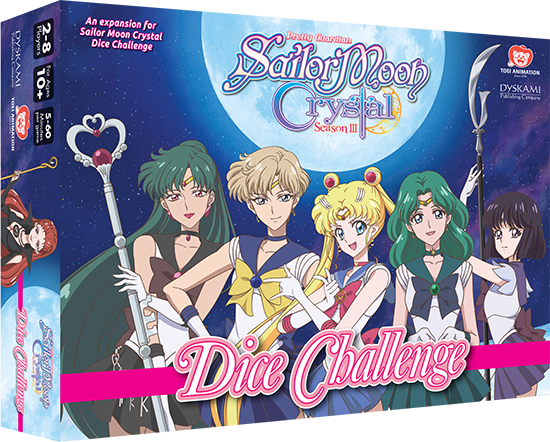 But for today we’re looking at the Season 3 Expansion to Sailor Moon Crystal Dice Challenge. You’d be hard pressed to find someone under the age of about 40 who wouldn’t at least recognize Sailor Moon. However, Sailor Moon Crystal is significantly less well known, as a separate show, outside of the anime fanbase. The show was first released in 2014 as an “original net animation” adaptation of the shōjo manga series Sailor Moon. 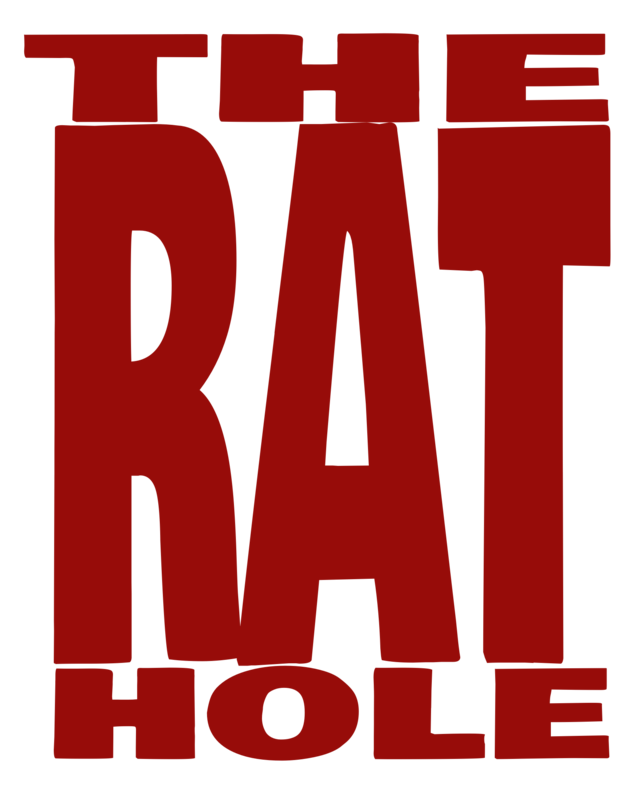 The creators went right back to the manga source for the show, something the first series often strayed from (especially the English versions). As one might guess, given that we are looking at the Season 3 expansion, only the characters from the first two seasons are included in the main game. That makes a lot of sense, since that’s how the anime was released, with only two seasons originally made and Season 3 being announced after. In 2017 it was announced that 2 films would be made to continue with the “Dream” arc of the manga, with a theoretical release date later this year. From a gamer standpoint, that makes it likely that we may see at least one more expansion for Dice Challenge in the foreseeable future. Inside the box, you get a new lanyard and 4 “challenge cards” to embrace the original “social play” aspect of Button Men at public events. There are also new tokens to track the characters abilities, 3 new coloured sets of dice, and most importantly 12 new characters to play. Most of the included characters focus on the key Death Busters, that are the main villains for the Season 3 story “Infinity” arc. Kaolinite, Mistress 9, and the Witches 5, all appear. On the Guardians side of cards, Luna P is included (having been left out of the first set), along with Sailors Saturn, Neptune, and Uranus. Sailor Pluto is also included, but with different dice and powers than her previously released promo card, which is a nice touch. I’m always a fan of promos being different than retail releases. Of all of the powers in the game, I think the Summon Daimon ability of the Witches 5 might just be the most interesting. The summoning player can convert their highest value starting die into a reserve die to bring in a Daimon token with its own dice to replace them in battle for the remainder of the round. Their opponent will score points for any captured dice from both the Daimon and the original character, but the summoning player will only ever score points for their original un-captured dice, never the Daimon’s. Choosing when to use any ability can be a difficult strategic choice in an otherwise straightforward game, but even moreso for this one. Sailor Moon Crystal Dice Challenge is a great stand-alone game, and this expansion makes it that much better. But it’s great that it is still compatible with Button Men, as long as you play a best-of-five game. Dyskami Publishing has done an amazing job with this game, and has some other interesting new things coming out in their Sailor Moon Crystal line in the near future.